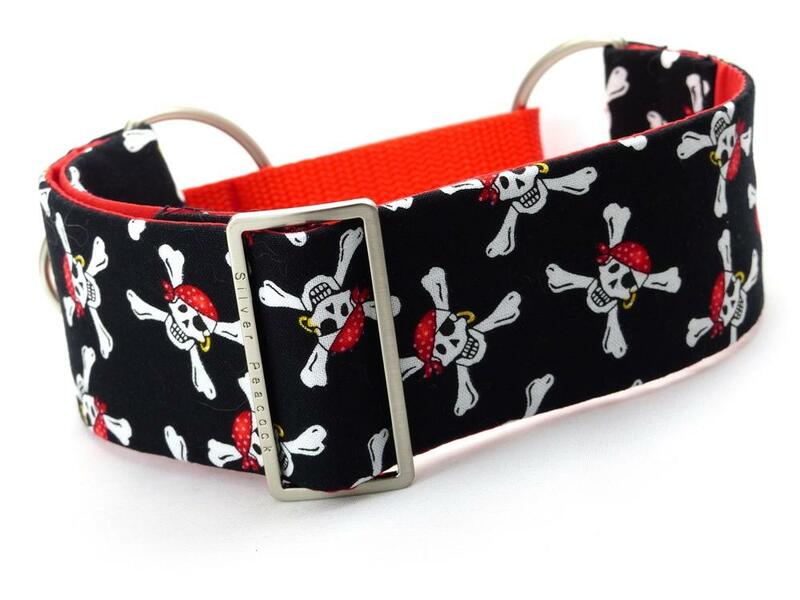 We know you love our Calico Jack collar so we were delighted to find this brighter option! 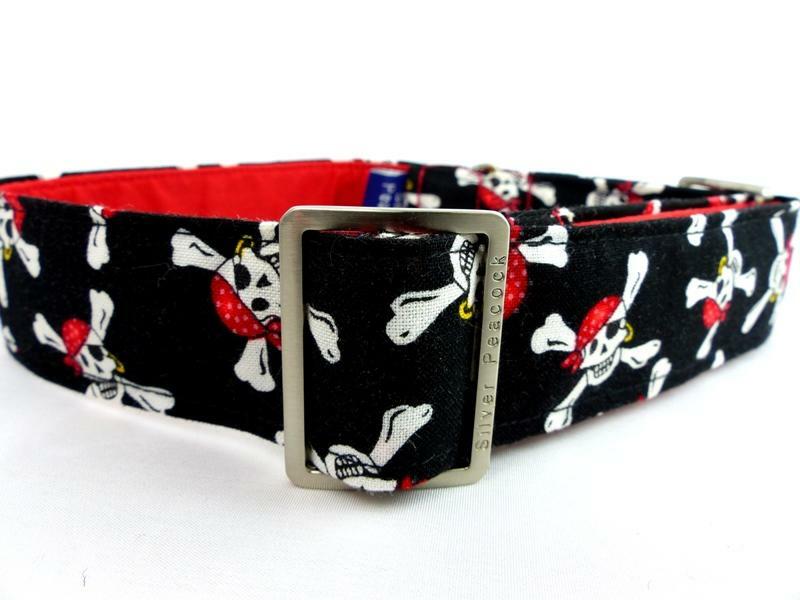 This striking and humorous collar is perfect for pirate hounds we all know! It is made from a violet-purple fabric printed with a skull and cross-bone motif, in white. The collar is lined in contrasting bright turquoise fabric and is finished with robust silver coloured hardware. The martingale has a Violet webbing section.